MOSCOW, October 26. /TASS/. Statements of the unrecognized Kiev Patriarchate that the Ukrainian Orthodox Church of the Moscow Patriarchate should be renamed as the Russian Orthodox Church in Ukraine are absurd, Reverend Alexander (Volkov), spokesman for Patriarch Kirill of Moscow and All Russia, told TASS on Friday. 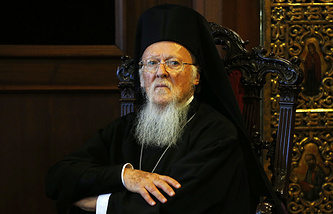 Earlier, the head of the uncanonical Ukrainian Orthodox Church of the Kiev Patriarchate Filaret (Denisenko) had said that the congress, which is expected to be convened to establish one local Orthodox Church in Ukraine, would have to rename the Ukrainian Orthodox Church of the Moscow Patriarchate as the Russian Orthodox Church in Ukraine. 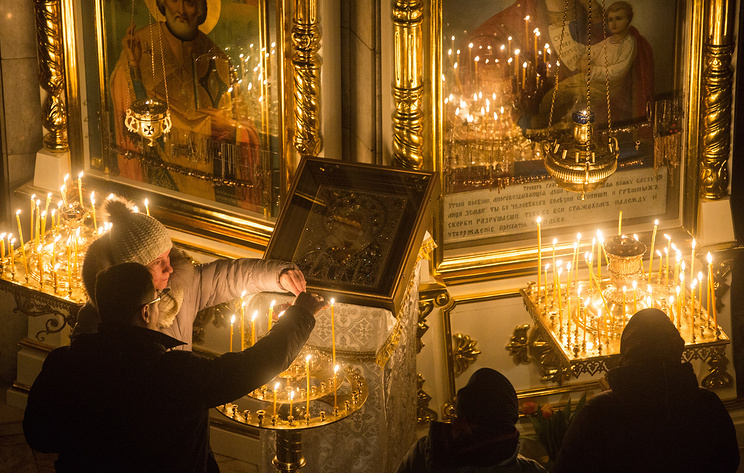 "These statements prove once more that a task has been set to seize or, to say simply, to steal historical reality - as sons of the Ukrainian Orthodox Church - from millions of Ukrainian faithful. However, these attempts are absurd, as none of schismatic persons are capable of remoulding the history of the Ukrainian Church," he said. 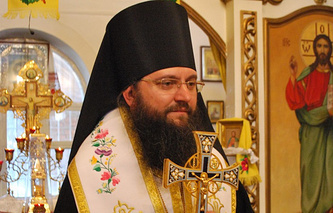 Nevertheless, Reverend Alexander voiced concern that such words might provoke action and churches belonging to the canonical Ukrainian Orthodox Church might be seized. "Regrettably, such statements will be evidently followed by action. Now they are talking about changing names, but tomorrow they will be coming to churches of the Ukrainian Orthodox Church. The Ukraine tragedy is deteriorating with each word coming from Ukrainian politicians and schismatic persons," the priest added.